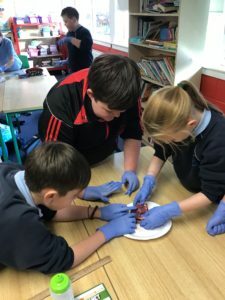 As part of Science week 5th and 6th Class got their hands dirty…literally. 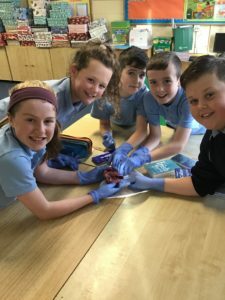 The carried our some science experiments on a heart!! 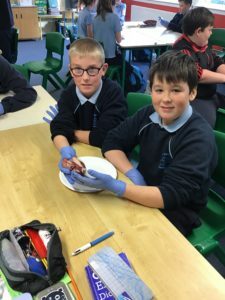 Close your eyes if you are squeamish!